Plymouth University in the UK leverages its alumni in a more targeted way than many schools do. Instead of posting a bunch of generic testimonials on its site, the university showcases the achievements of its alumni according to programme and interest area, from architecture and art and design to agricultural science and psychology. This structure offers international students a meaningful way to understand the careers enabled by the programmes they’re interested in, which is extremely important because so many students prioritise job and income potential when considering what to study. An array of student testimonials on the Plymouth University website. The Dormspiration campaign on Pinterest. also has a recruitment angle: international student participants can share their ideas with friends and parents back home. 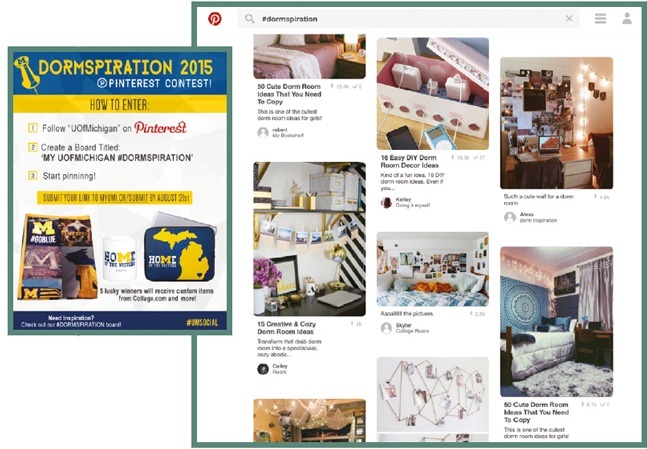 The required foundation for effective word-of-mouth marketing is a passionate current user base, and the University of Michigan Pinterest campaign definitely gets it right on this count. The WhatsApp and Messenger apps are huge among students the world over. When Erasmus University in the Netherlands added WhatsApp to its student helpdesk last year, it experienced a massive surge in the number of messages it received from prospective students: seven times the number the university had received through Facebook. Higher education marketing departments and admissions staff appreciate the way messaging apps respond to students’ demand for quick response times and how they fit into the multi-tasking, always-connected habits of millennials. 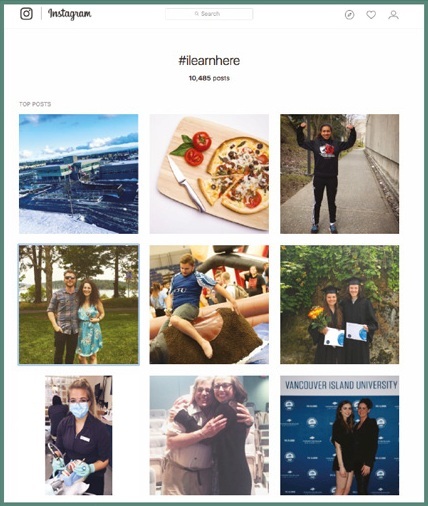 Vancouver Island University (VIU) launched its Instagram account with a clear purpose: to attract an audience using the pull of the outdoors and an off-the-beaten-track lifestyle.VIU initially engaged a devoted “tribe” of followers to contribute images and videos evocative of this vision to the VIU account – tagged with #ILearnHere. This entry was posted in Africa, Asia, Australia/Oceania, Europe, Marketing, Middle East, Most Popular, North America, Regions, South & Central America and tagged colleges with international students, postgraduate student recruitment, student enrolment, study abroad, tertiary education overseas.